Do you have an important event coming up? A winter wedding, a job interview, a day at the races or perhaps you are a guy who knows how to dress but you are looking for your next inspiration? Well you’ve come to the right place. I think we’ll all agree that the suit is nothing new, but the way you wear it can be. 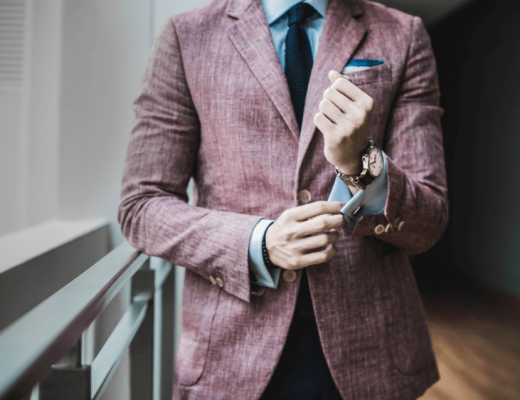 With so many suit and tie combinations around it’s easy to become overwhelmed with what compliments what, but worry no more, we are here to help. Afterall, a well dressed gentleman is the epitome of style and a good suit and tie never goes out of fashion. With over 20 years experience in the industry, we are quite often asked what colour tie should I choose? So with this in mind we have answered the most popular questions based on the colour of suit you choose. So let’s get started . . .
What Colour Tie to Wear With Blue Suit? At Ties R Us, we are big fans of a blue suit. This suggests to us that you are someone who is not afraid to step out of your comfort zone and experiment with colour. A blue suit screams style and with so many variations including plain, checked or striped, it’s one of our favourites to dress. Blue – Yes blue, a shade lighter or darker adds depth to your outfit for co-ordinated style. Mustard – The perfect contrast for a blue suit. Paisley – For the fashion forward, we particularly like the silver and blue combination. Top tip: Don’t be afraid to mix and match textures and patterns for the ultimate style combination. What Colour Tie With Grey Suit? A grey suit is a classic and should be a staple item in every man’s wardrobe. It is the perfect choice for any occasion, at any time of year. 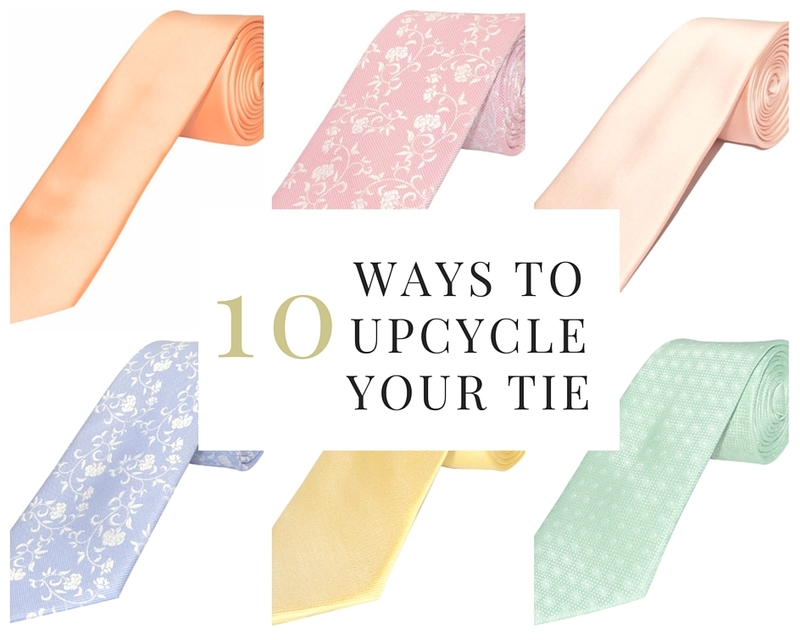 Simply change your tie for different look each time and no one will even know it’s the same suit! Pastel shades – Pink and lilac are particularly popular for weddings, they add a subtle softness to your look. Red – Adds a pop of colour to your outfit, perfect for the party season, or a groom that wants to be noticed. Patterned – Floral, checked or polka dot. Who says a grey suit has to be boring? Top tip – Dare to be different and choose a powder blue shirt instead of white for your next event. What Colour Tie With Navy Suit? There’s no denying that a navy suit is sharp and sophisticated. Softer than black, but just as classic as grey, it can be dressed up or down whatever the occasion. Create a lasting impression with a navy suit and tie combination, take a look at our favourites below. Burnt Orange – Be bold and inject some colour into your outfit. A fantastic choice all year round. 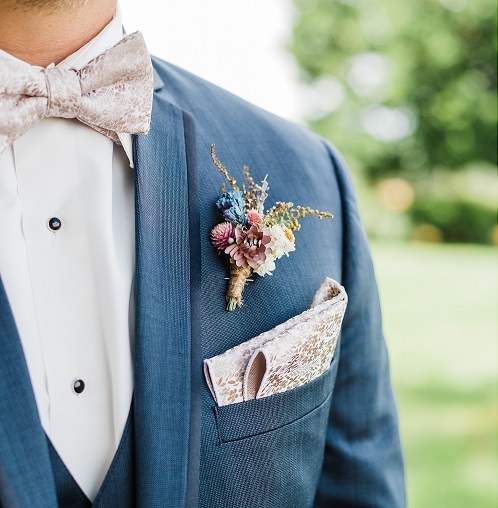 Gold – The perfect contrast to a navy suit with it’s super rich undertones. Tweed – Is there anything more dapper than a touch of tweed? We don’t think so. Top Tip: Add a contrasting waistcoat and pocket watch this season to get yourself noticed for all the right reasons. What Colour Tie With Black Suit? Perhaps the most classic of all is the black suit. A black tie event, business or pleasure, a black suit caters for everything, plus with so many looks, it’s extremely adaptable and perhaps one of the most timeless pieces you’ll own. Now let’s talk how to style it. . .
Black – Sleek, smart and stylish, very 007. Royal Blue – A vibrant explosion of colour against a black suit is a match made in heaven. 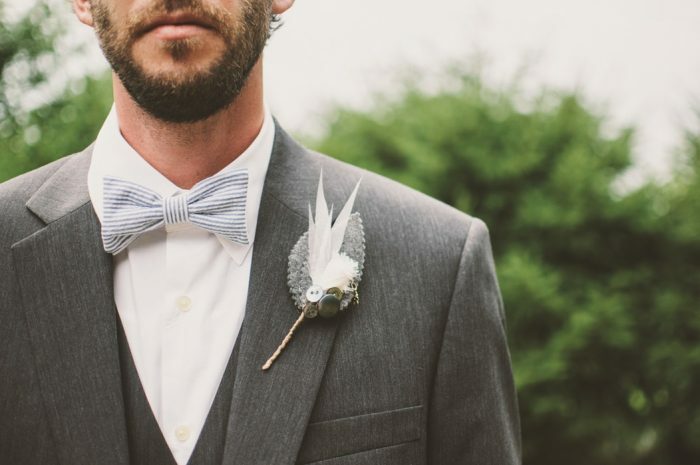 Bow Tie – We couldn’t not suggest a bow tie with a black suit, it’s a game changer. Top Tip: Add a matching pocket square for a modern twist on a classic suit. 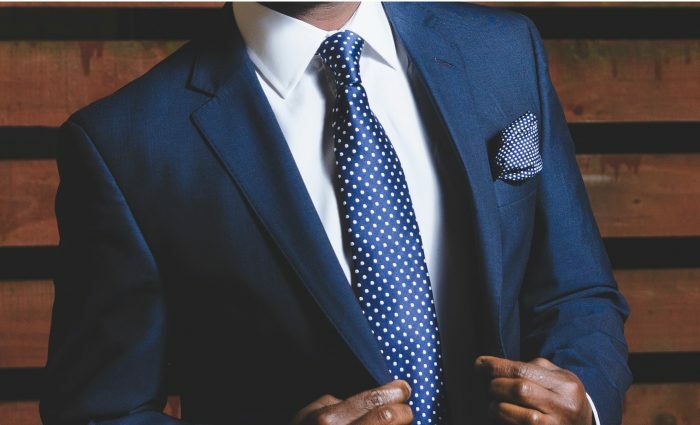 Now the ideas are flowing, we want to help you look good and feel good, so why not take a look at our full mens ties collection for more inspiration where you can shop by colour, pattern or material. 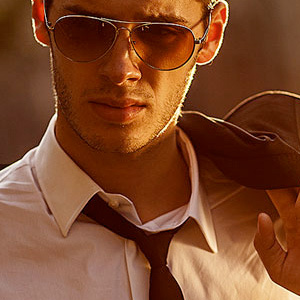 Your new favourite look is just a click away with Ties R Us. And don’t forget about the little ones too, we also stock a range of boys ties, giving you the same stand out style, just on a smaller scale.